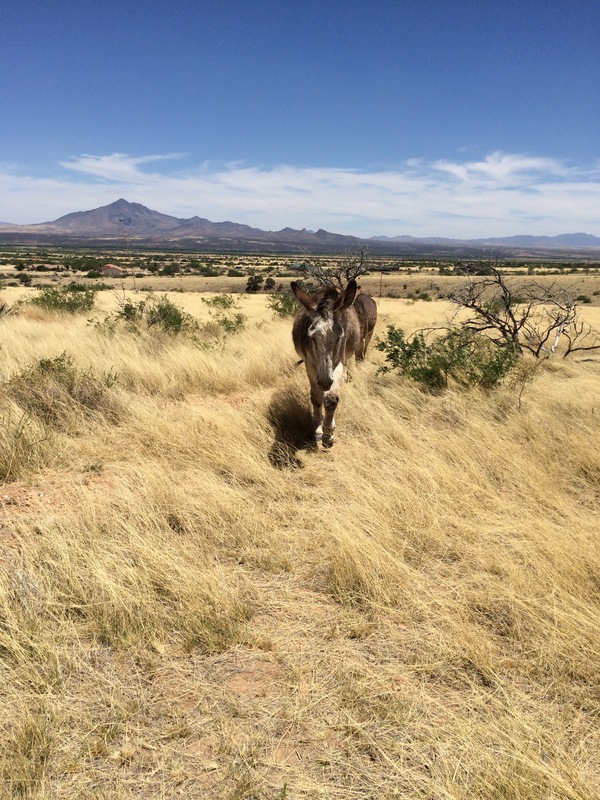 In May, I went to Tucson, and my dad, my niece and I went on a day trip to Horse’n Around horse rescue in Hereford, Arizona. 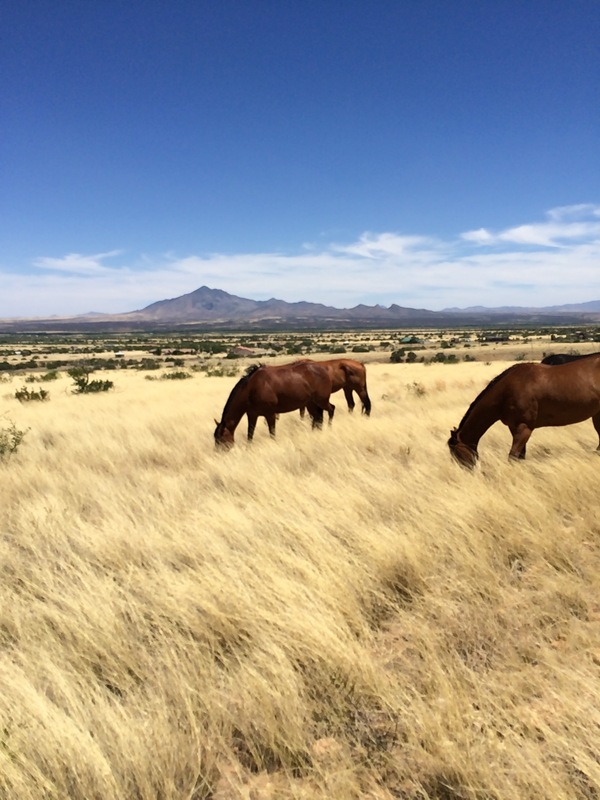 I saw some great horses here, and it is a truly beautiful location — right next to the border with Mexico. In the background of this picture below, you can see the fence. It’s that black line on the horizon. It looks like a train track. It’s also on the photo behind this giant donkey in retirement from the Grand Canyon. We were there about three hours and saw all 48 horses. They had some great horses and some sad stories to tell. Like this gorgeous guy below who broke his knee in a team roping competition. You can’t tell now, but if you ride him about an hour he begins to favor it. He is in a mountain pasture where he has to climb around a little and they hope it rehabilitates him. Here are two mares I wanted to adopt. 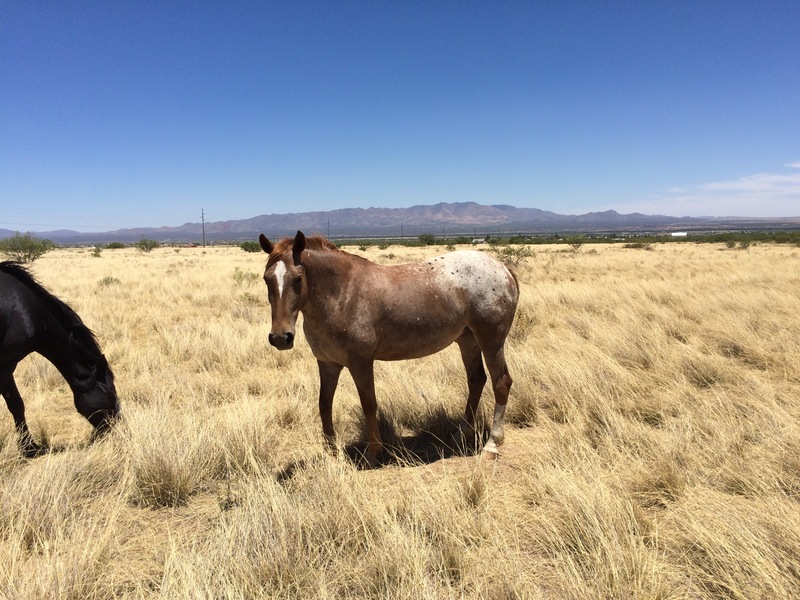 The first photo is of horse I keep thinking about– Desert Rose, the appaloosa. The second photo below is a mare named Kaluha that I learned was already adopted this since my May visit — she will be a great horse for someone! Dad liked her because she reminded him of a horse he had a long time ago. He is feeding her in the picture below Rose. 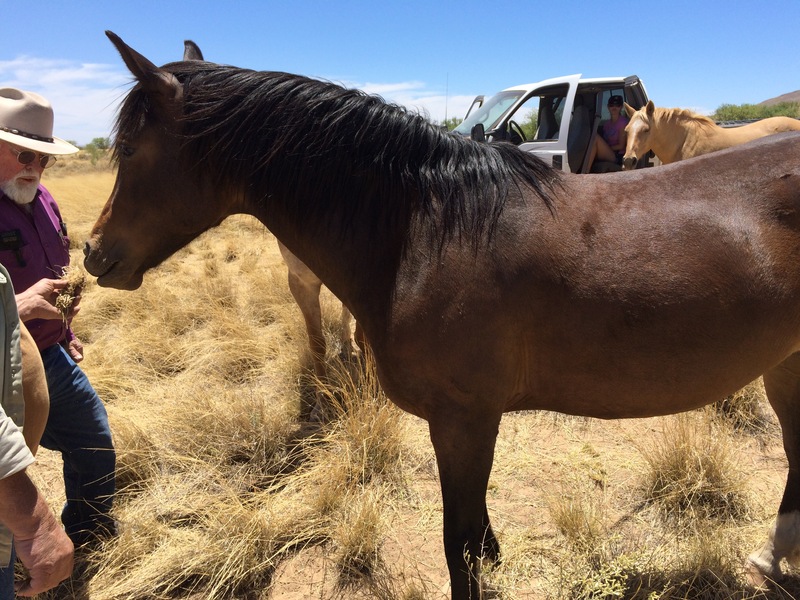 They were from a seizure of more than 40 starving horses at an old dude ranch– so sad. If you are looking to adopt a horse, please consider going to Horse’n Around Rescue Ranch. When you adopt a horse, you pay a fee (basically you buy the horse) and you get 10 hours of riding instruction with your new companion before you can take her/him home. 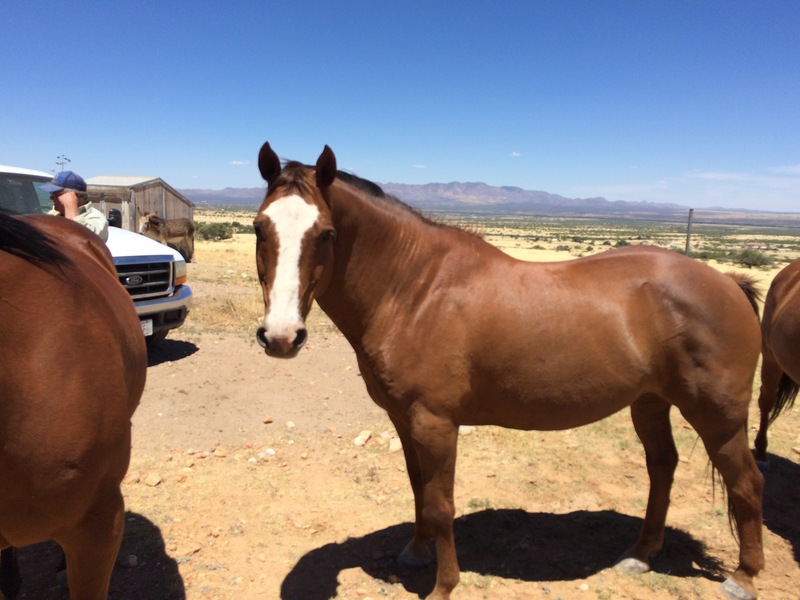 When I brought my horse Bayito to San Diego, I learned that it isn’t very expensive to trailer a horse to Southern California so if you are looking, you might consider one from Horse’n Around. 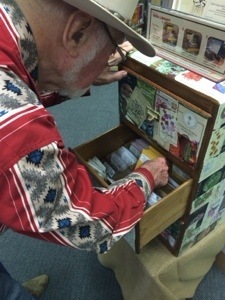 I had a great idea to write a blog about all the women who had influenced my gardening. I was going to put pictures of them in their gardens next to a description of what they liked to plant and how it influenced me. I started asking family members for photos of my Grandma Vi, who loved to garden, and Grandma Betty who had a tidy rose garden in her patio. Also my mother, who loves her poppies. I am planning to call it Ancestor Gardening, and I’ve already written the first one about my mother and her poppies—but guess what? No one had a photo. Why? I guess the gardeners were too busy gardening! I sat down with my mother on a recent trip and culled through family photos, searching. 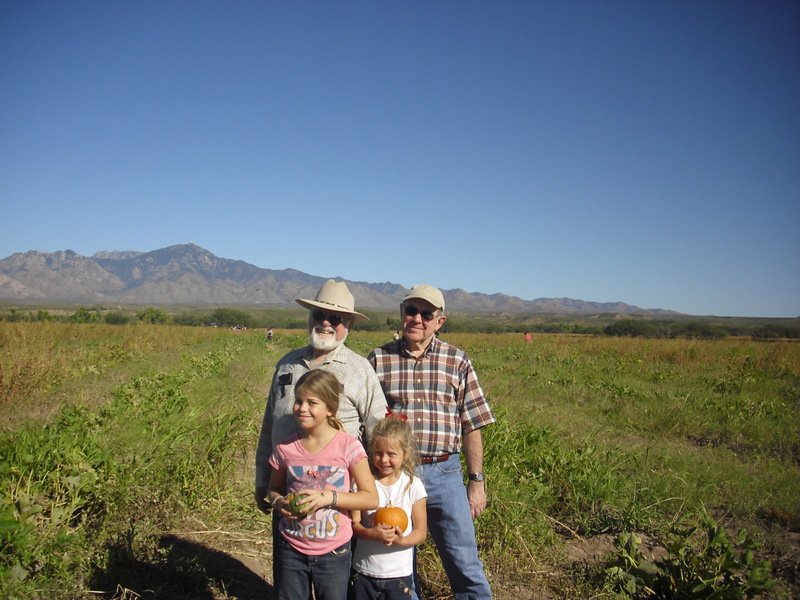 I thought we’d find one of Grandma Vi in her garden, or at least her garden—a little farm she created in her backyard—she had planted so many citrus trees, berries, pine trees, roses, you name it. Nothing. Nada. Nope. Not one photo. 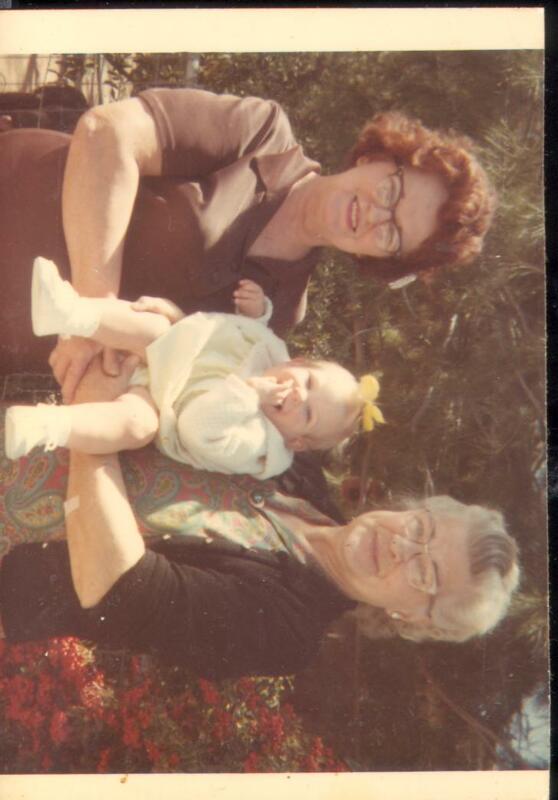 The closest thing I could find was a photo of me at 18 months, my grandma and her sister holding me in front of a prickly Pyracantha bush not the beautiful lush plants I remember so well. 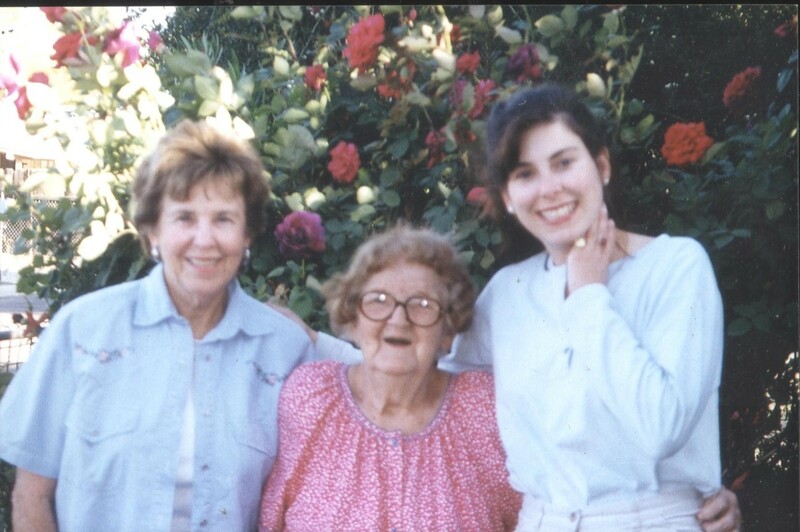 Then I found one of my mother, my grandma and me in front of one of her favorite roses. President Lincoln. I knew it because she talked so much about it as I was growing up—”Abe Lincoln” she called it; she loved that rose. At least a few of its rich red blooms peeked out from behind us. But the rest of her garden is only in my memory. “We were too poor for a camera,” my mother explained, as to why she has no photos of her childhood. 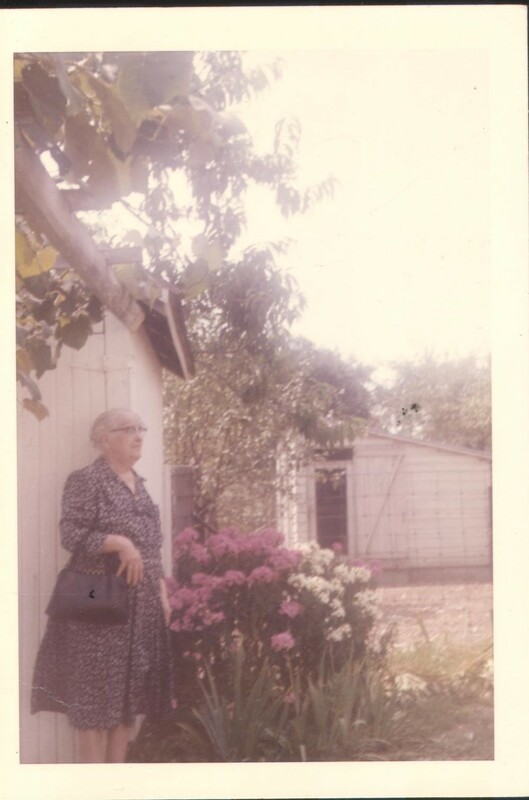 But by the time grandma had bought her house, paid off her 1950s fin-tailed Cadillac and planted her back ½ acre with about 90 roses – all earned by waitressing and managing the soda fountain at Walgreens—you’d think she would have taken a picture. 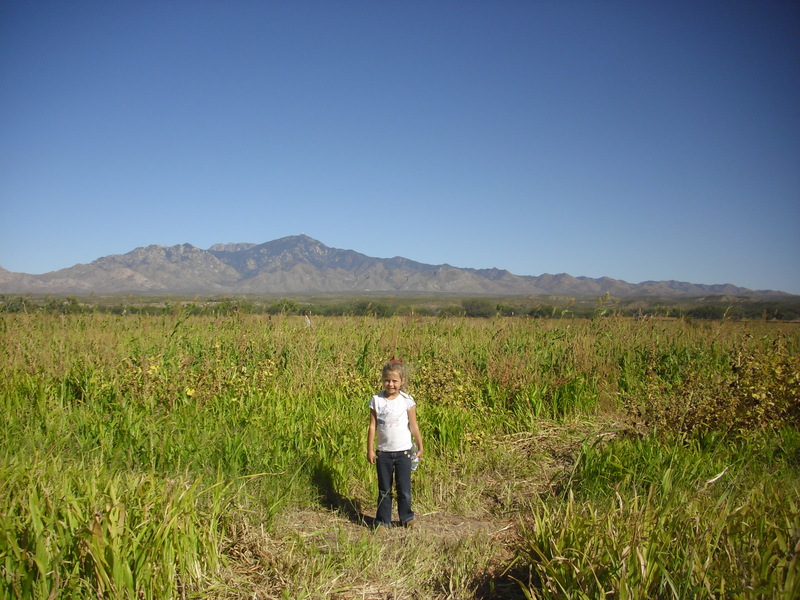 Probably she was too busy watering all those roses with a hose—irrigations systems were not easy to come by, and in the desert of Tucson, she spent a lot of time watering. My Grandma Betty was the same when it came to delinquent photography. I can’t find a single picture of her in the beloved rose garden she had tended and later had a gardener care for. She loved cut roses and had many bouquets throughout her home. When she died I inherited several vases and frogs—those funny spiky flower holders. I imagine them full of her roses. And I wonder if there were pictures we threw away that would have shown me the flowers she loved. I finally found one of her standing in the patio, next to the rose garden—I think there is a vase of her roses on the table, but that’s all. 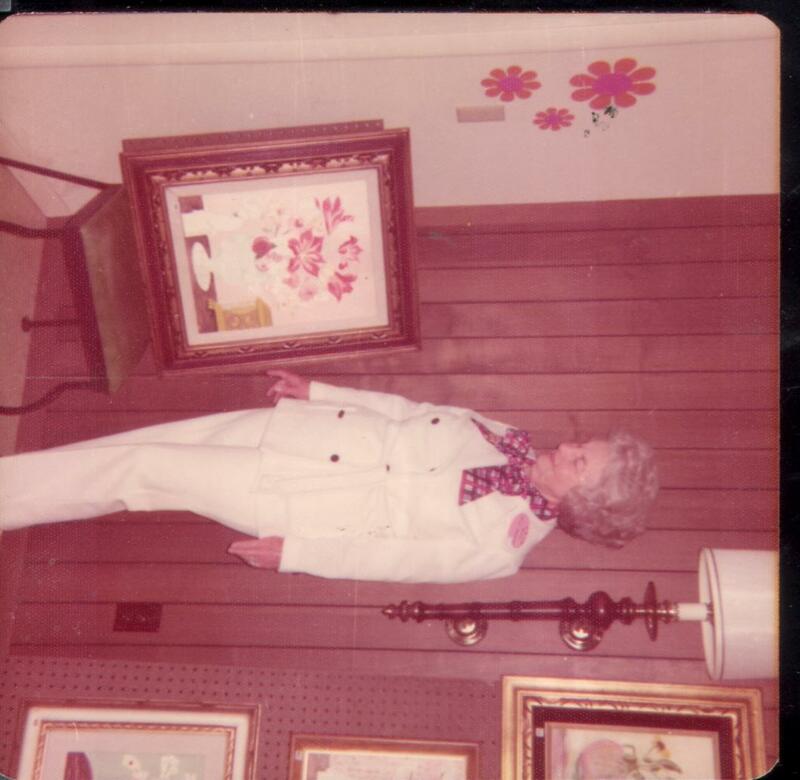 Well, I did find this other one of her next to a painting of her flowers. I’m sure those are her flowers in the vase because I recognize the parrot statue. It was a white marble bird bookend that sat on a table in her livingroom. She must have gathered the props for her still life from around the house. Love the 70s decor and outfit! My mother also found some photos from Ohio that are much older. 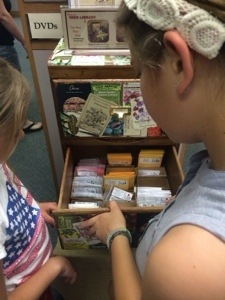 These are ones from her ancestor garden—from her Grandma Hahn, a farm wife in Darke county, Ohio where Annie Oakley was from. She influenced my Grandma Vi and my mother. 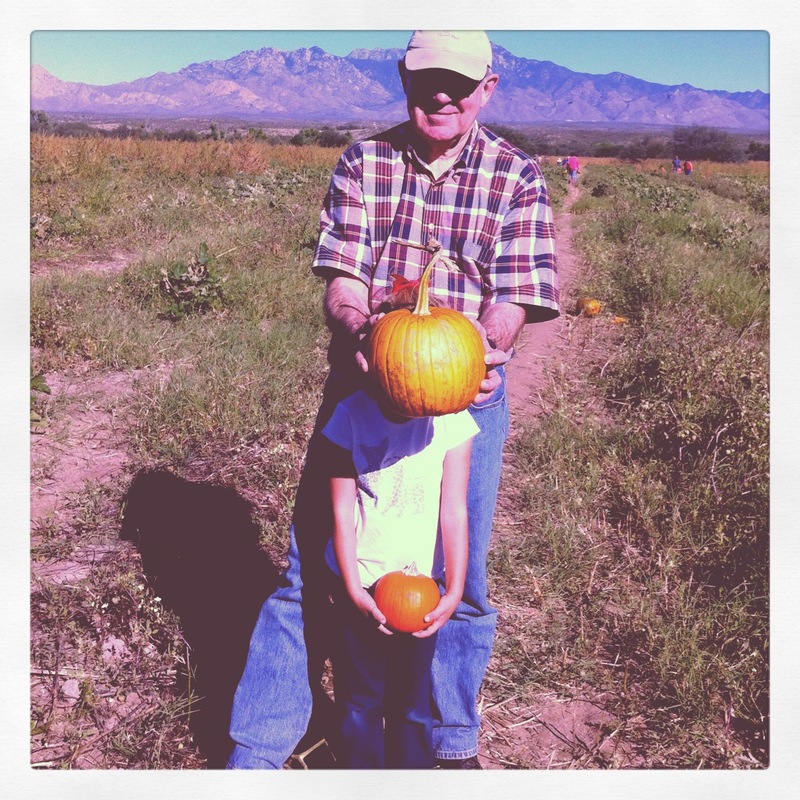 Grandma Hahn, I learned, loved her garden. She had it fenced to keep the chickens out. There are some lilacs and some irises. Sigh. Please, people, if you garden, take some pictures of yourself in it. Someday so relative of yours may want to see it. 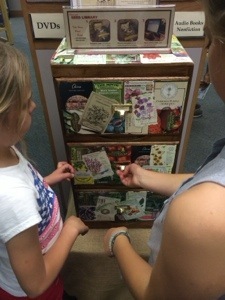 Or if you have some photos of a favorite spot in your garden, pass them to someone in your family who values gardening—even if they don’t garden now but you suspect they will one day. Now, what photos of me do I have in my garden? One: from the day before I gave birth to my second daughter. It was Easter. I am enormous and wearing a giant pink pregnancy top that is out of fashion. I can’t find it and that is making me upset. 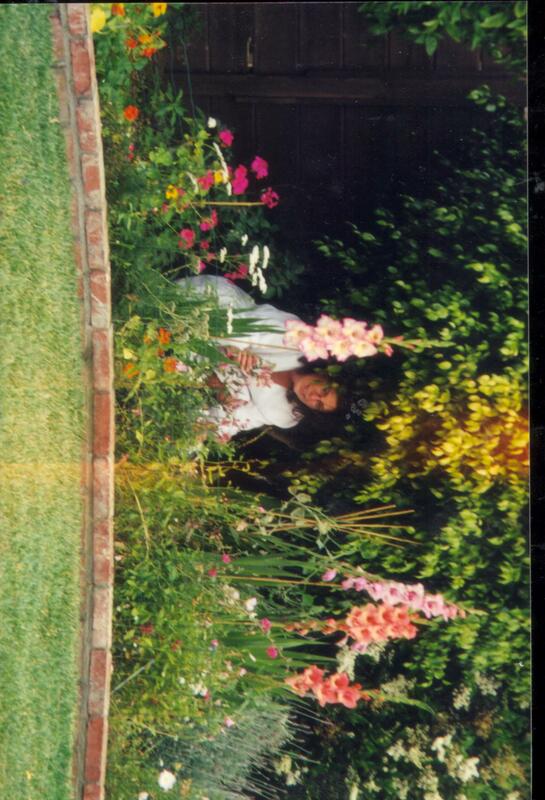 Two: a creepy one of me in a bathrobe, hiding behind the flowers at my old house. I look sort of elfin. I think I’m making that weird face because I don’t want my photo taken. Okay. To do list: Have photo taken of me in front of Austin roses. 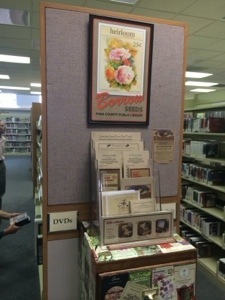 Stay tuned: now that I have a few photos, the Ancestor Garden story will be coming shortly. 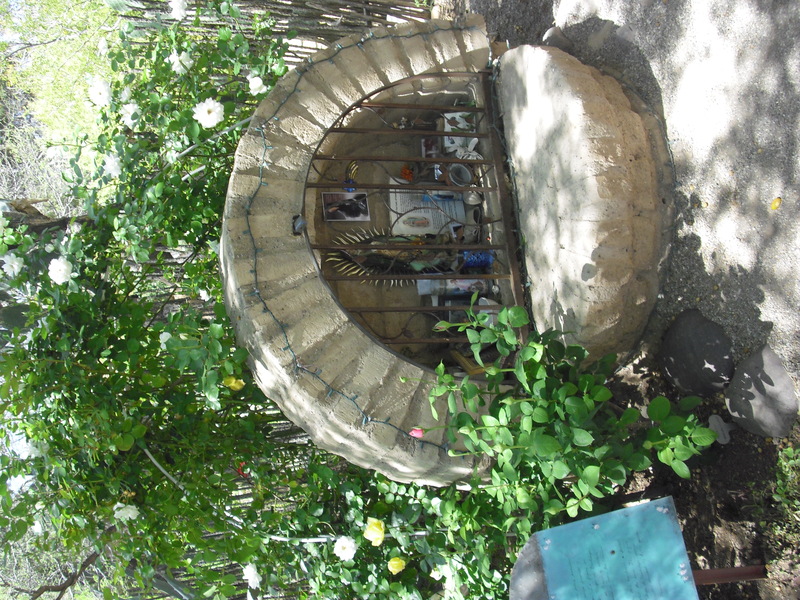 I love visiting other gardens and getting ideas. 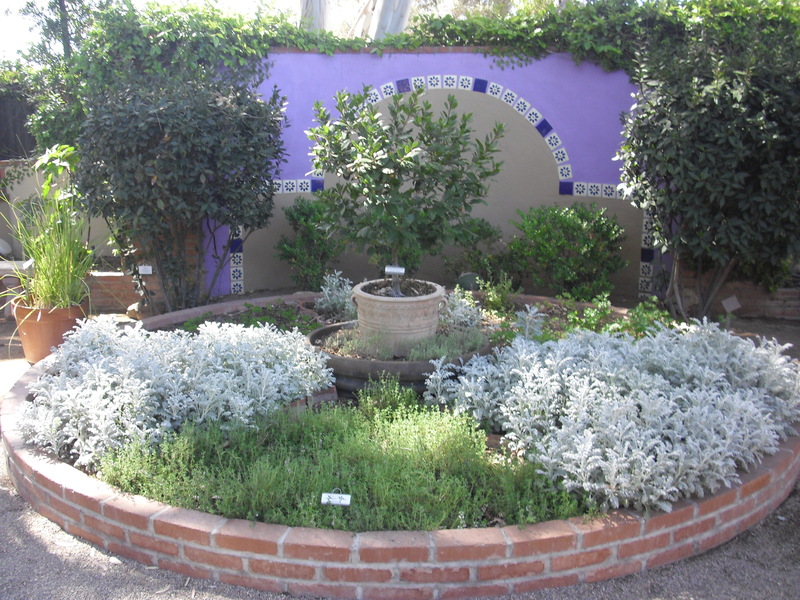 Last week I went to the Tucson Botanical Gardens and the butterfly green house. It was amazing. 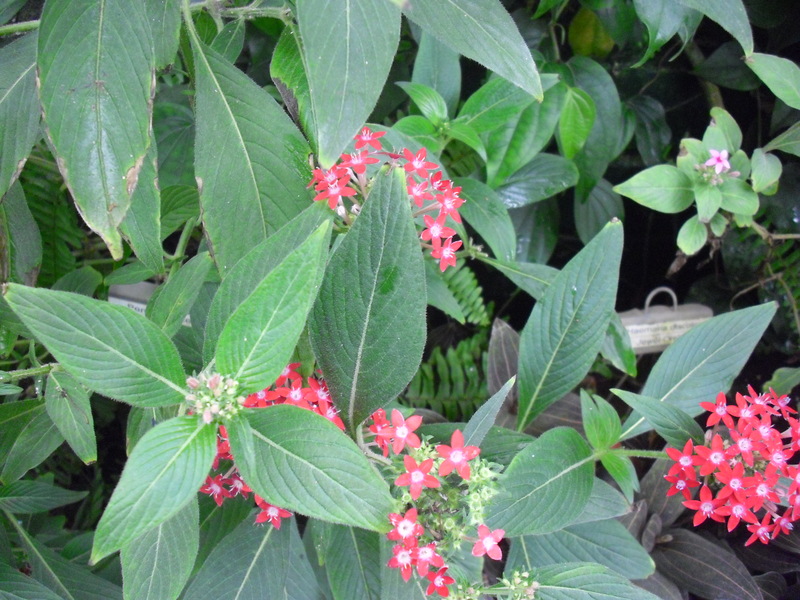 The greenhouse was full of plants that grow in San Diego such as hibiscus and Pentas lanceolata, which was beautiful. 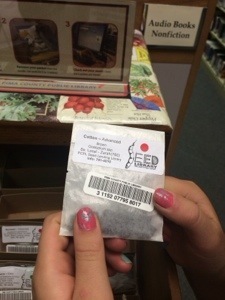 I might try to plant it. I see it grows as a perennial here and as an annual other locales. 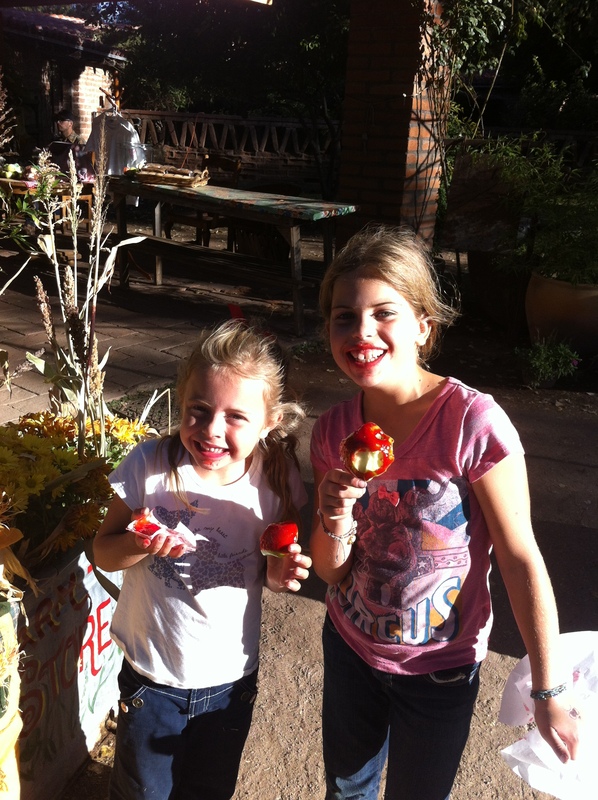 I had some little garden helpers with me on the tour. 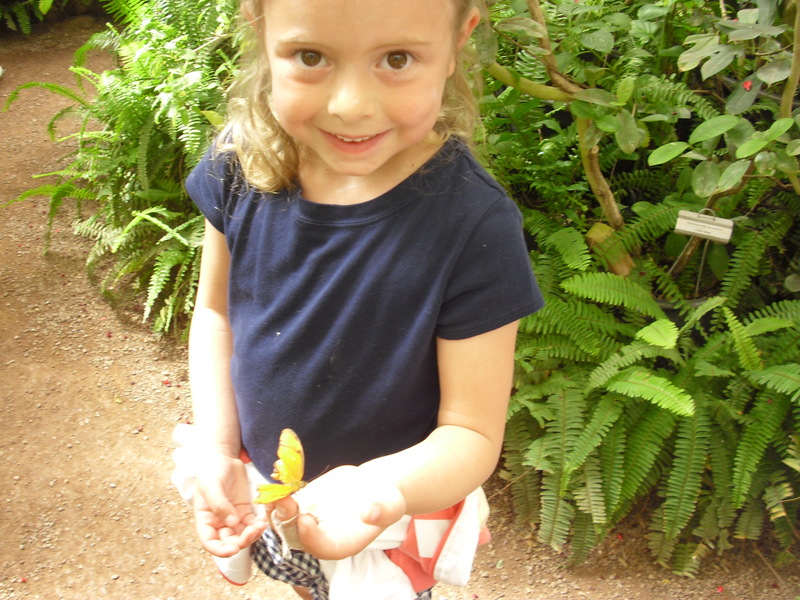 The butterflies were attracted to them. 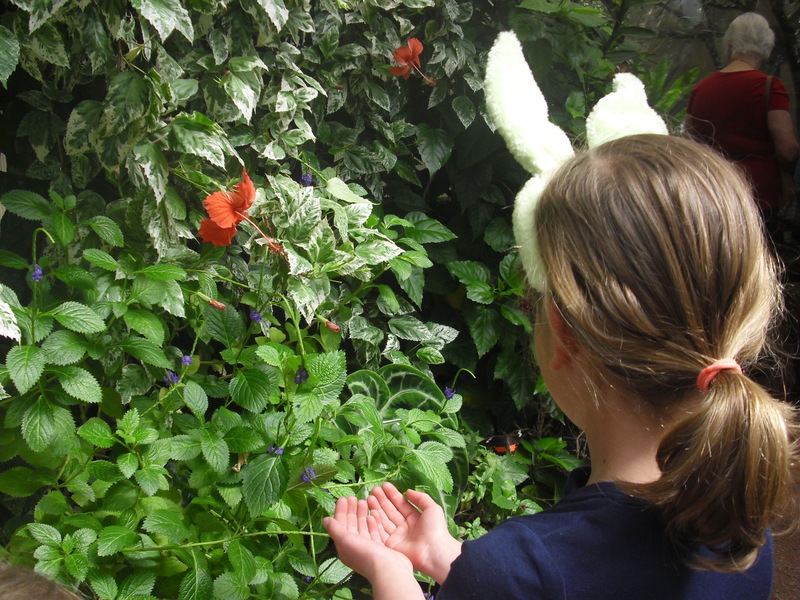 We really enjoyed the butterfly house, but there was so much more to see. 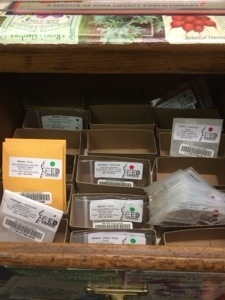 So many of the plants both inside the 80 degree green house and outside the butterfly house, can grow in San Diego. That’s what so amazing about the climate here. We can grow almost anything. 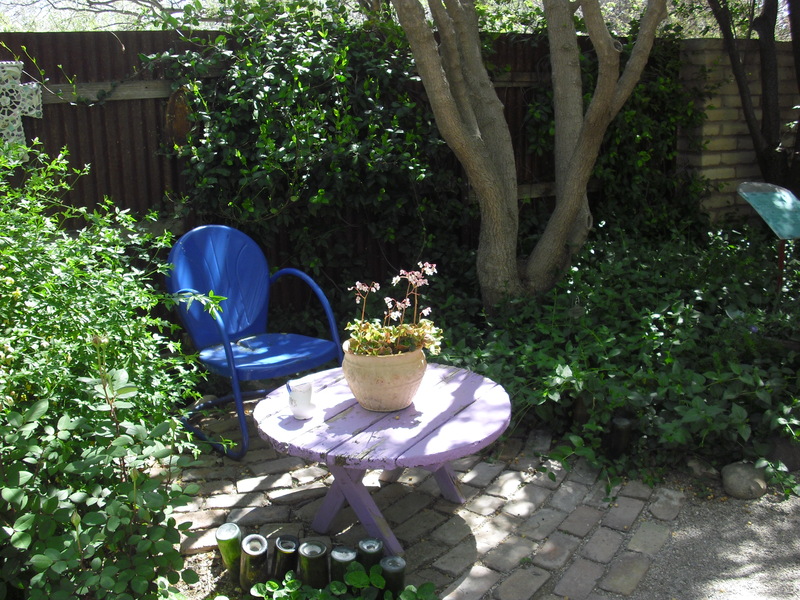 I also loved the Barrio Garden with its roses, fig trees, purple heart (the deep purple houseplant-type that grew profusely in the flowerbeds in the house I grew up in), pomegranates, and tombstone roses. Just beautiful! I love the look of this garden path (see below), which is lush and full, despite the heat. 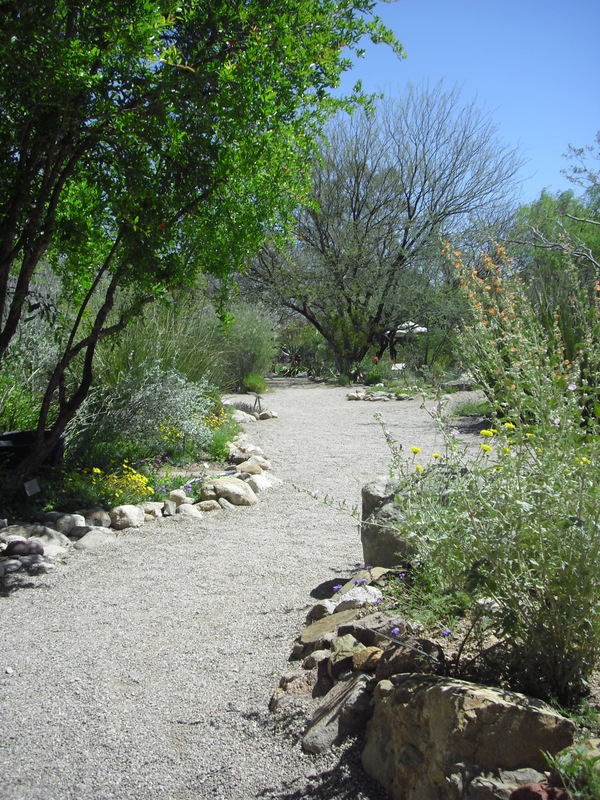 This pictures shows a pomegranate, a mesquite and some other flowers in the wildflower garden area. 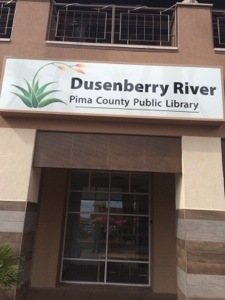 If you are ever in Tucson, be sure to visit this wonderful place!